SINOTRANS LOGISTICS DEVELOPMENT CO.,LTD. 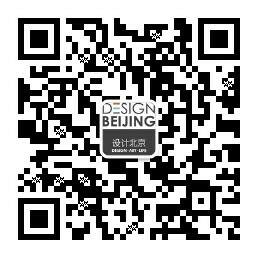 is designated to be the overseas transportation partner of Design Beijing 2017. It will be responsible for the overseas transportation and customs entry. Room 712, Sinotrans Plaza, A43 Xizhimen Beidajie, Beijing 100044 P.R China. As China government regulation, all artworks from oversea, including foreign countries, Hong Kong, Macau and Taiwan, should be received the permit of Ministry of Culture of China first. Then, the Beijing Customs will check all the artworks from oversea according to the permit. Thus, please submit the complete artwork list (artwork’s title & introduction, artist’s name & introduction, size, media, year and if any words are included in the artwork, please mark the clarification of these words) with images to the Executive Committee before the deadline of February 10, 2017 so that we can apply for the permit in time. It is OK for less than the number issued, but exchange and beyond issued are forbidden. As government regulation, the international fair should appoint an official freight forwarder to be in charge of Customs Declare, clearance and return for artworks from oversea. The exhibitors may choose any company to transport artworks according to the fair schedule, but please contact the designated company in advance for Customs affairs. Any exhibitor from oversea does not submit the complete artwork list and images by the deadline would be disqualified by the Executive Committee. The exhibitor guarantees that all information in the list submitted to Executive Committee is accurate and complete. For any trouble during the censorship or Customs Clearance because of the exhibitor’s mistake, the Executive Committee is only responsible for notifying and all possible assistance.